Frustration has been expressed at the delay in delivering overdue vessels currently under construction. Disappointment and frustration was expressed at the CalMac Community Board’s recent meeting at the continuing delays in the delivery of the overdue vessels under construction. The board, which met last week in Mallaig, heard that there was concern from all parts of the network. 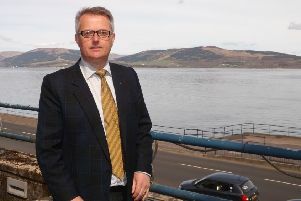 During the summer members of the Scottish tourism industry also criticised delays to the delivery of new CalMac ferries, warning that business was being lost as a result. The Scottish Tourism Alliance said that the Scottish Government’s announcement that two commissioned vessels would not be delivered until next summer and spring 2020 was disappointing and a let-down for island communities and tourism businesses. It urged new transport minister Michael Mathieson and Fiona Hyslop, Cabinet Secretary for Tourism, Culture and External Affairs, to deal with the matter urgently. Last week’s meeting also heard presentations from Caledonian Maritime Assets Ltd (CMAL) and Transport Scotland on how they function within the present system to plan and prioritise vessel and port improvements and renewals. This was followed by a detailed presentation from the board’s operational sub group, set up to identify areas of improvement for delivery of a better service. The report recommended a number of action points as well as better communication of incidents while acknowledging some recent improvements. These included a review of the dry docking programme and schedule; improvements to the ticketing and booking system to provide more relative data; timetable discussions to be ongoing instead of twice a year; rationalisation of design of vessels and ports to maximise the use of assets; move to a new Ferries plan process that will include a five, 10 and 15-year build program backed by financial commitment. The board has also set up a communications sub group to co-operate with Cal Mac to further improve the communication between it and communities. This group will also work on broadband provision issues.